Do you need to have your garage door problem fixed today? Call your neighbor at Greensboro Garage Door Repair! Call Greensboro Garage Door Repair at (336) 790-6007 or by email in the contact us form to the right for all of your garage door repair needs. 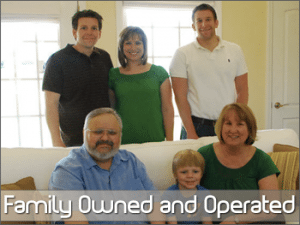 What is the difference with Greensboro Garage Door Repair? We use parts that are higher quality than standard parts on everything we can, for example. 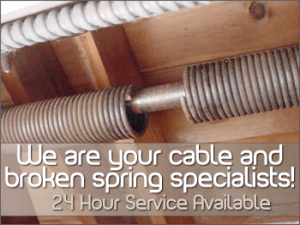 The standard garage door springs that come on most garage doors are 8,000 – 10,000 cycle (how many times your door can open and close before you have another spring failure) and usually last around 6-8 years, depending on usage. Our springs are 30,000 cycles and will last around 20 to 25 yrs. At Greensboro Garage Door Repair, we back ours with written warranties. We find out the exact weight of your door and match the springs up so we know they are right for your door. Most of the time the repair man will just look at the old springs and put the same weight spring on. But what if this was the wrong spring set-up to begin with? At Greensboro Garage Door Repair, we have seen it happen many times. At Greensboro Garage Door Repair only use quiet, sealed 13 ball-bearing rollers that are nylon coated and are rated for 100,000 cycles. These will reduce the noise level of your door and these rollers will last a lifetime. Why pay for 10,000 cycle springs when you can get springs that last 30,000 and are backed by a written guarantee for the same price at Greensboro Garage Door Repair? And of course, Greensboro Garage Door Repair offers fast, friendly repair and service and we are always just a phone call away. Don’t hesitate and call for great service. Whether it’s first thing in the morning, when you get home from work, or on the weekend. That’s no problem for Greensboro Garage Door Repair, we will dispatch a garage door repair technician to fix your garage door problem right – the first time. By choosing Greensboro Garage Door Repair, you will get great service by a trained repair technician. You will get the highest quality parts in the garage door industry. Your peace of mind is our promise! At Greensboro Garage Door Repair we service and repair all major makes and models of garage doors and garage door openers.